As an Event Manager, no two days are ever the same. 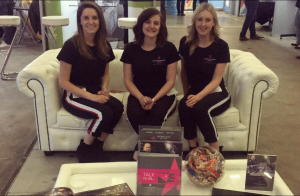 Fortunately, we have a strong and professional team that adapt well to change, and love the manic side of the job too – so find out what a day in the life of an Event Manager is really like! It’s important to us that we stay current and creative, looking at what’s standing out on social media. We like to attend all the events we are invited to through our friends and other similar companies, to show our support and learn what is enjoyable about the event from the guests perspective. At Entertainment Today, we event manager everything from private dinner parties, elaborate gala dinners, christenings and weddings, to corporate product launches, Christmas parties and awards ceremonies. No event is too large or too small and our dedicated team will work tirelessly to bring the unimaginable to life. We handle everything from ensuring budgets are met and negotiating the best deals from suppliers to creating the theming, locating the venue and transforming the venue. It’s our job to provide the creative flare for the event and work with our clients to put together an event that presents their message or personalities, and engages their guests. However, it’s not all glitz and glam like it may appear from the outside. Quite often it is hectic 18 hour days with all hands on deck, to ensure the event runs flawlessly and any hiccups are dealt with quickly and without fuss. The lead up to any event is all about communication and organisation. We have regular up-dates with our clients, as well as sending progression reports of each stage, detaining all aspects of the event. The pre-event is all about researching the best venues and suppliers that suit our client and coordinating with the team. Prior to the event we will have checklists put together of everything and everyone who will be arriving at the venue, from which supplier and at what time. In the case of an evening charity ball, we will usually be on site early doors to ensure everything arrives on time. The longer we have the better, because you never know what could happen. There’s always the off chance something needs to be tweaked or changed, and we need to make sure we add that into our time. We start the day with a briefing, with everyone managing their own area for the setup. The event director, will take charge of liaising with the venue coordinator, AV and suppliers as they arrive. AV is the biggest job of the day. Sound and lighting make the most impact on the atmosphere of an event; and it may take some time to ensure this is perfect. The stage and dance floor also need to be in place first as this is often the central point of the room, and everything else is based around their position. Once all is setup, we can then begin with rehearsals. Sometimes if there are only a few performers, they will arrive later in the day, and after the majority of the venue is set up. However, if there are a lot of performers, we can be starting rehearsals from as early as 12pm. For the large scale events, its all hands on deck. All members of the team will be there, as well as any freelance staff and volunteers. We will usually arrange for volunteers from universities that we work closely with; but with charity events we will also have volunteers from the charity who kindly help throughout the evening for auctions and selling raffle tickets. We will have another group of staff/volunteers arriving for the evening shift, which is when our full time staff will have time to switch over and get ready, then everything should be setup and ready to go. We will now have time for the full team briefing, giving everyone a chance to know who they will be working with, who they can report to if there’s any issues and exactly how the evening will flow. Each member of staff and volunteer will be given a running order, so they are aware of what exactly they will be working on and who with, at what time. Charity events will usually begin with a drinks reception, a 3 course meal with performances, speeches and auctions throughout. Auctions are always the most hectic and lengthy part of the night, as it is quite fast paced and we will need most members of the team involved in order for it to be handled in the most efficient and effective way. Followed by a headline act and a DJ. In a lot of cases, we can often leave the breakdown till the following day, which is usually better for the staff and the suppliers. However, if the venue has another booking the following day, then we need a speedy turn around once all the guests have left. The staff will disperse at the end of the evening, to collect in all the dressing and have a tidy up. There will be a number of staff with checklist, ensuring every single thing coming back in is checked off. And then off we go! If you would like more information on any of our events, or would like to meet with one of our team to discuss your own event, please get in touch. We would love to hear from you!